The Puritan Reformed Conference aims to cultivate a Christian worldview that is biblical, doctrinal, experiential, and practical. 2019 marks the 11th year of the conference and each year it has been hosted at the Prince Conference Center, in Grand Rapids, Michigan. Sponsored by the Puritan Reformed Theological Seminary, the conference draws attendees from far and wide. Past speakers have included the seminary’s faculty, as well as men such as Ligon Duncan, Michael Haykin, Carl Truman, Conrad Mbewe, Derek Thomas, Geoff Thomas, and a host of others. The Puritan Reformed Conference is a wonderful venue to hear Reformed, experiential preaching; preaching that makes much of the grace of God in the gospel and little of personal righteousness. It is also a great opportunity for dear friends to get reacquainted and to make new friends along the way. Lastly, the conference is a destination for wonderful, godly, Christian, books for all ages, all at deeply discounted prices. It is my pleasure to welcome you to the eleventh Puritan Reformed Conference. Over the last several years, the objective of the Puritan Reformed Conference has been to foster a robust Reformed Christian worldview that is biblical, confessional, experiential, and practical. When such a holistic worldview is embraced by an individual, lives are transformed, and Christ is exalted. 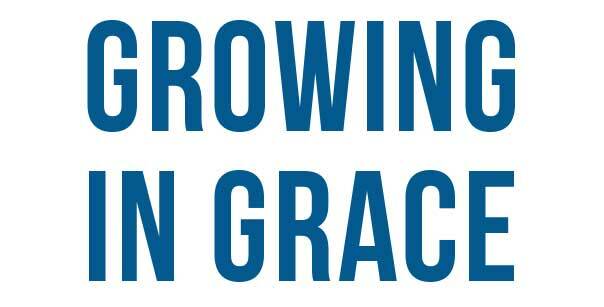 This year, we will look at the theme of growing in grace.Our eleven speakers will address various facets of this theme ranging from biblical exposition to historical studies. There will be messages from scripture, as well as on such topics as assurance of faith, personal evangelism, communion with the divine persons, and more. It has been said, “A Christian never lacks what he needs when he possesses in Christ the unsearchable riches of God’s grace.” It’s our hope that during this year’s event the beauty and the majesty of the grace of God in Christ will be the catalyst to stir the hearts and minds of all who attend the conference to live soli deo gloria.